Save money and share with your group, book club, marketing or entrepreneurship class, or just give them away with abandon. 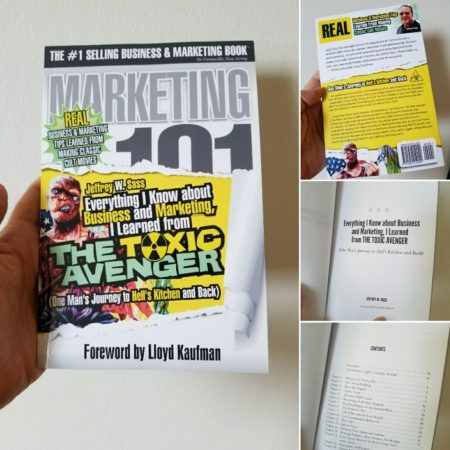 Get this bundle of ten copies of the paperback of Everything I Know About Business and Marketing, I Learned from THE TOXIC AVENGER. Perfect for any group interested in business, marketing, entrepreneurship, and movies! FREE SHIPPING to US and Canada.